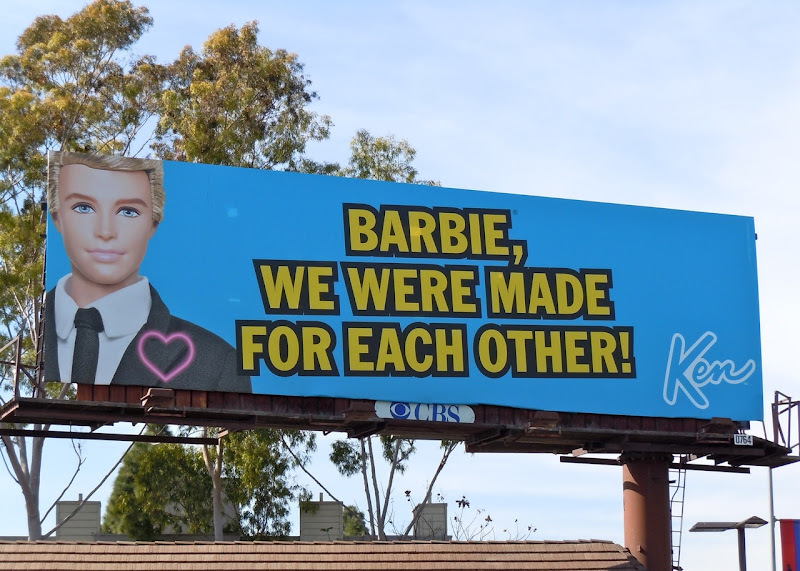 and its breakout stars, Barbie and Ken. I do have to ask who are these witty billboards are targeting. Surely it's not the kids, as the humour is a bit too highbrow? So is it the parents, tapping into their childhood nostalgia, or is Mattel really just riding the wave of Toy Story 3's box office success. Whatever the reason they are fun billboards. 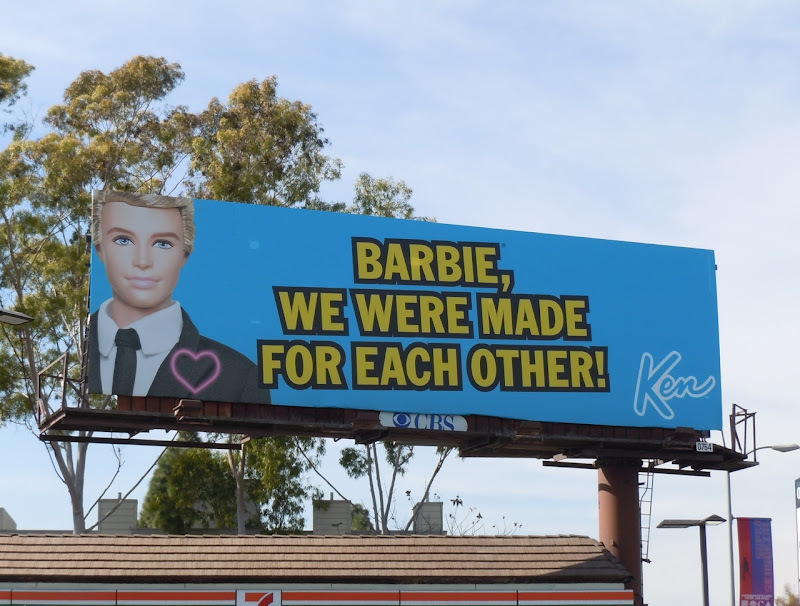 The 'Made For Each Other' creative was photographed at Olympic and La Cienega Boulevard on February 4 and the 'Only Doll For Me' billboard along Sunset Boulevard on February 24, 2011. 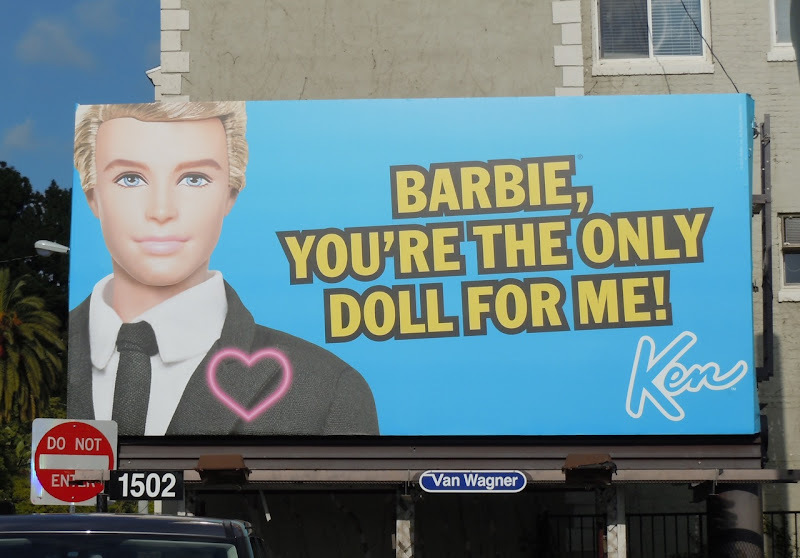 Plus there's a third version not featured here, with Ken proclaiming 'Barbie, I want you back'. 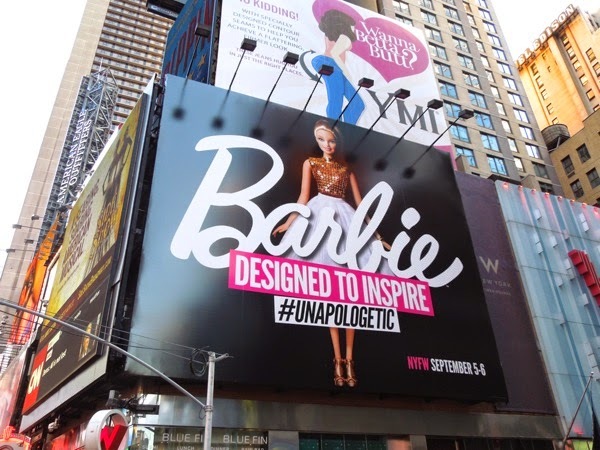 UPDATED: Here's a more recent Barbie billboard, featuring the iconic doll herself, spied in New York City's Times Square on November 3, 2014.